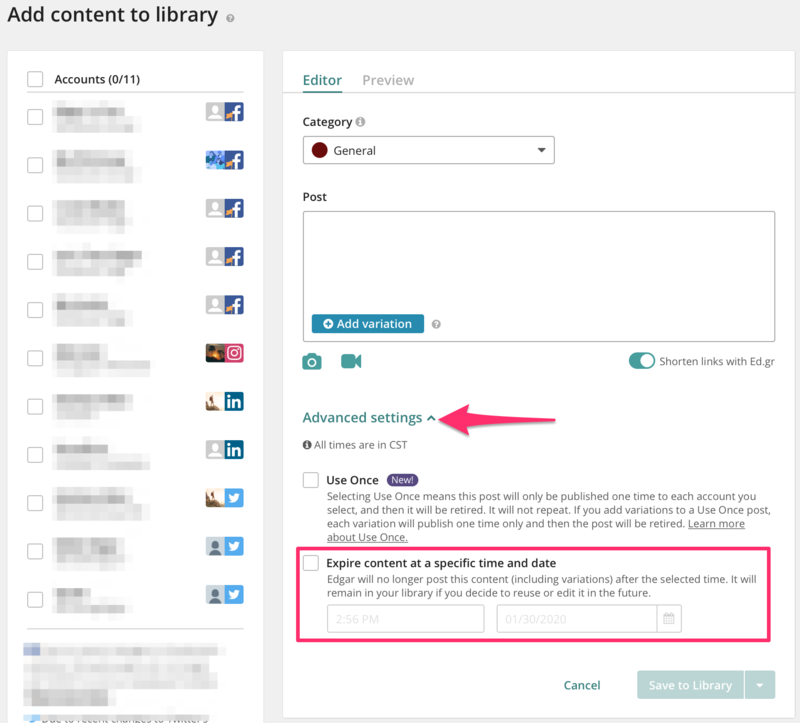 To set an expiration date on a post, click Advanced Settings, check the box next to Expire content at a specific date and time, and choose your date and time. 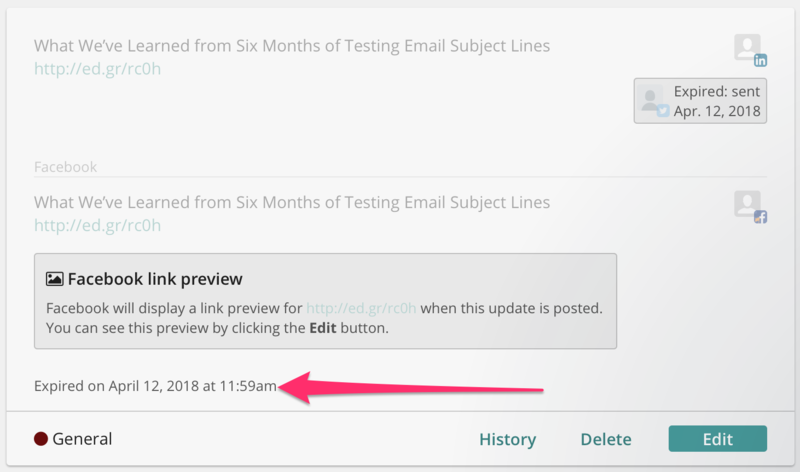 Posts with multiple variations will be expired at the set time, even if unpublished variations remain. 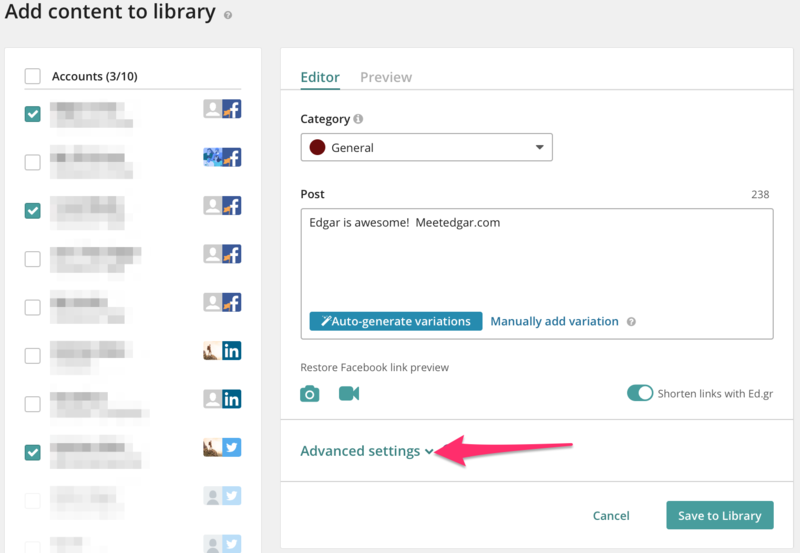 Whether all variations publish before the expiration date depends on how many time slots are on your schedule and how much content is in that category for Edgar to rotate through. To reactivate an expired post, edit the post and remove the expiration date. 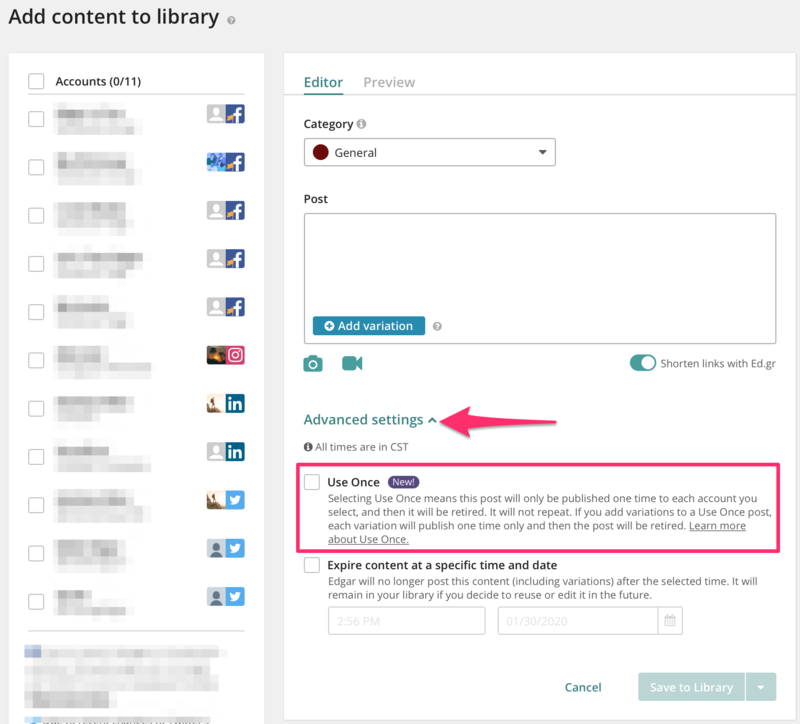 Click Advanced Settings, and check the box next to Use Once. Edgar will publish that post one time only and then retire it. For more information on how Use Once works, see Use Once.